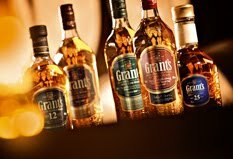 The Grant's range of blended whiskies are amongst the best selling in the world. The main markets are the UK (where the brand stands in 4th place behind Bell's, Famous Grouse and High Commissioner), France (who are the world leaders in whisky consumption with a staggering 48 million litres each year) and South America (especially Ecuador and Venezuela). Sales in other growing markets such as eastern Europe, Taiwan and the travel retail/Duty Free sector are increasing rapidly. Overall, the range sells 20 million bottles of whisky a year! We have reviewed the whole range side by side and this includes the Family Reserve, Ale Cask Reserve, Sherry Cask Reserve, export only 12 and 18 year olds and the soon-to-be released 25 years old. To read this full review on Whisky For Everyone - click here. Most rum is made using molasses – a thick sweet brown syrup that is a product of the sugar refining process. From this basic starting product, plus the addition of yeast and water, comes the world’s vast array of rums. There are many different styles of rum and the choice can be confusing. Here we explain the main categories of rum and the differences between the styles. This may help you when choosing the rum that will best suit your taste, when faced with shelves of different bottles in the shop. We start with the lightest rum and move through to the heaviest. These can also be called silver or light rums (blanco in Spanish) and are usually young. They have little or no colour, as they are only partially aged (or not aged at all, in some cases) and are then filtered to remove any colouration. White rums have pronounced sweet yet subtle flavours and this makes them especially popular for mixing and cocktails, rather than for drinking neat. Havana Club is a rum that is produced on the Caribbean island of Cuba. They currently operate two distilleries - one in Santa Cruz del Norte to the east of Havana, Cuba's capital, and the other in San José to the south. Most of the rum produced is exported, especially to the European market where it is the second best selling rum brand behind Bacardi. The distilleries and the Havana Club brand is joint owned by the Cuban government, who control the production, and drinks giant Pernod Ricard, who deal with the promotion and distribution. A staggering 30 million bottles of Havana Club rum was sold worldwide in 2006 and Pernod Ricard predict that this will be doubled by 2013! 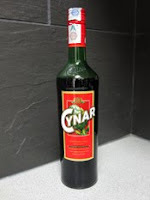 Cynar (pronounced che-nahr) is an Italian bitter or amaro, that has artichoke as its base ingredient. The drink takes its name from the Latin name for the artichoke plant, which is cynara scolmymus, and the artichokes form part of an infusion that contains a secret combination of 13 herbs and plant extracts. The artichokes used to make Cynar are grown exclusively in the Po valley – a valley in northern Italy that runs east to west across the top of the country, from the Alps to the Adriatic coast – and the production process is completely natural and maintains the health properties of most of the original ingredients.